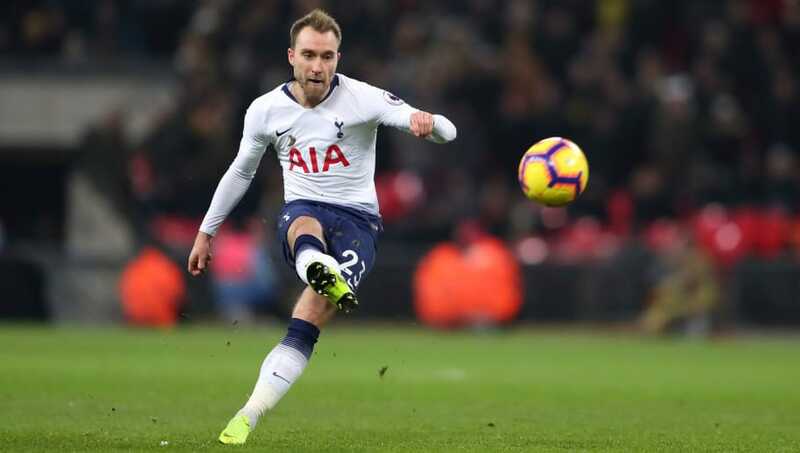 ​Tottenham are ready to consider the sale of Christian Eriksen at the end of the season, following so far unsuccessful negotiations over a new long-term contract. The Danish international will see his current deal expire in 2020, and wary of seeing the player leave on a free transfer in just under 18 months time, Spurs could consider offers in the region of £60m and use that money to sign a replacement. Leicester City's James Maddison has been touted by the ​Times as Spurs' number one target in the case of Eriksen's departure. Maddison has been excellent at the King Power Stadium since joining from Norwich for £22m at the start of the season, and Spurs have followed the player ever since his days at Coventry City - dating back to 2013. The Foxes, according to the report, would likely look to double their money on the player were they to sell him. As for Eriksen, speculation over his future has been rife for months. ​Real Madrid and ​Barcelona have been touted as the front-runners for his signature recently, and while a recent report claimed ​Los Blancos had dropped their interest in the player - likely in favour of signing Eden Hazard from Chelsea - the reported price could tempt them. Speaking last month, manager Mauricio Pochettino seemed non-committal on the 26-year-old's future, stating that while he'd like to see Eriksen re-sign, the decision was down to the player: "Of course ​Christian Eriksen is so important for us and you would like to have this kind of player with you. But it's a negotiation with different parties, with different interests. "It would be fantastic if Christian Eriksen committed to the club for a long time. If not, it's his right to do what he wants to do."